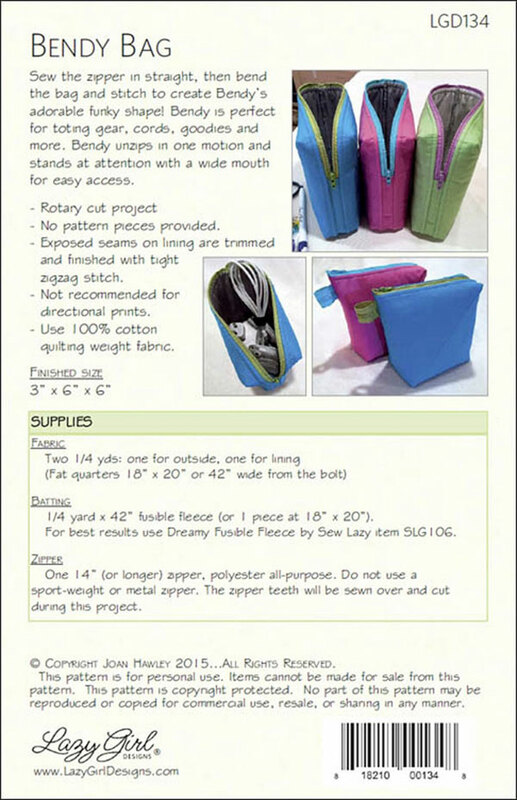 Bendy Bag sewing pattern from Lazy Girl Designs. 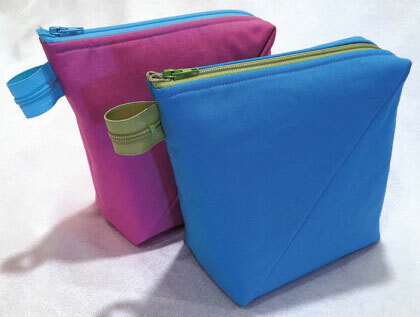 Sew the zipper in straight, then bend the bag and stitch to create Bendy’s adorable, funky shape! 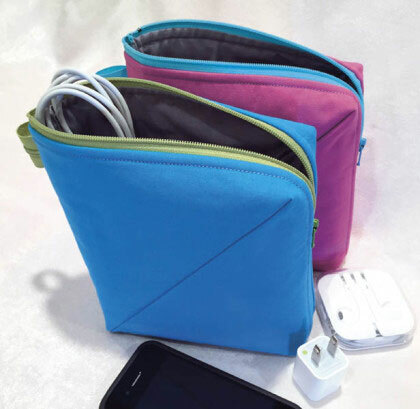 Bendy is perfect for toting sewing gear, cords, goodies and more. 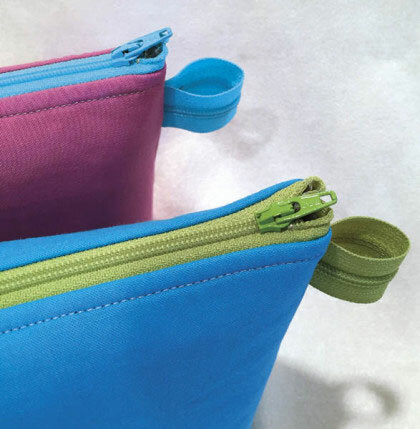 Bendy unzips in one motion and stands at attention with a wide mouth for easy access. 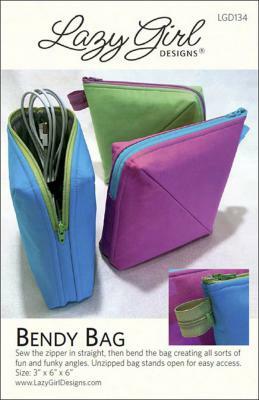 This is a rotary cut project, no pattern pieces provided. 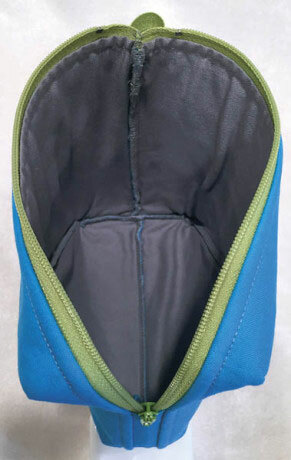 Techniques include: perfect zipper installation with new casing treatment, zippered grab tab, bending zipper over corner of bag. 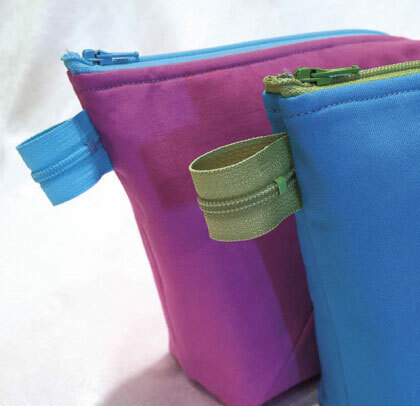 Finished size: 3in x 6in x 6in. 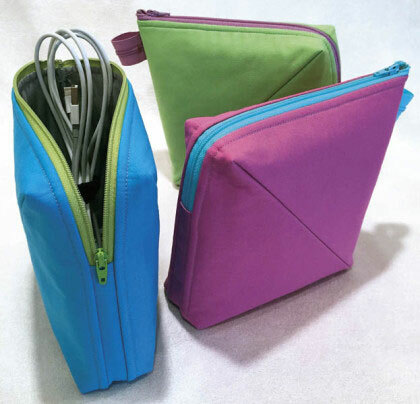 This makes a great make-up case or case for cables, etc. The directions are well written and the bag goes together really well. 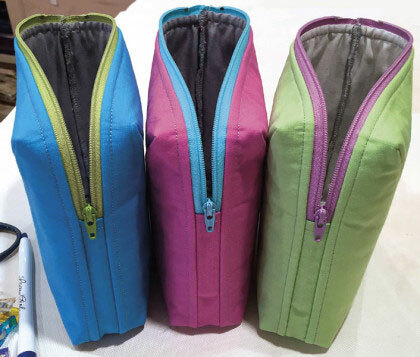 You can also easily make it bigger by adjusting the size and using a bigger zipper. Go for it, this is a fun thing to make!